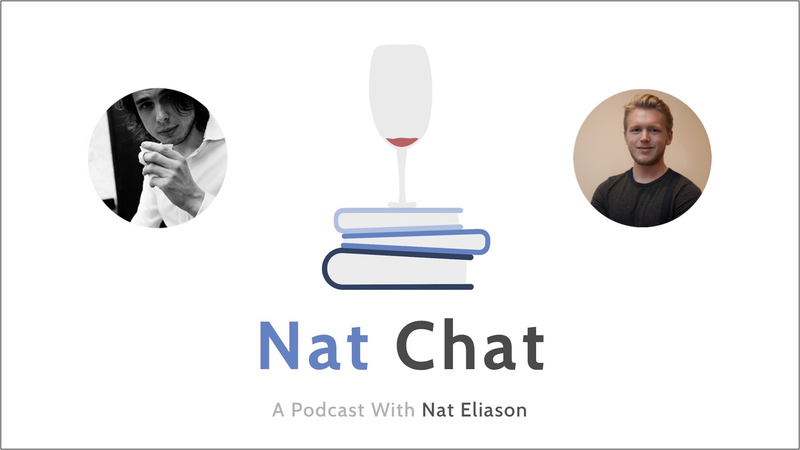 In this episode of Nat Chat, I’m joined by Sebastian Marshall. Sebastian and I delved into a lot about productivity, life and habit tracking, and developing really good systems for achieving your highest output. He’s been writing on his blog for eight years and runs a company now called Ultra Working, where he helps individuals and companies get the most out of their day-to-day systems. Sebastian’s a great person to learn from for those wanting to optimize their systems for high output and productivity, and to become more disciplined with their habits. We do get a bit in the weeds about time tracking in the beginning, so if that’s not as interesting to you feel free to skip ahead. There’s a TON here and we share a lot of interests, so we dove deep on the finer points of productivity. And much more. Please enjoy, and reach out to Sebastian on Twitter! If you enjoyed this episode and our discussion on productivity and time management, be sure to check out my episode with Chris Sparks, where we discuss tons of great productivity advice and more. Also, if you want to hear more about using failure to grow, check out my episode with Matthew Barby, where we discuss this and more. 1:15 – Introduction to Sebastian and some major problems today with people not tracking their time properly or investing their time as wisely as they should. 4:21 – What Sebastian’s current tracking system looks like after seven years of refining it, how to follow it on your own, and some advice for others looking to successfully adhere to their own system. 13:09 – Why this tracking system works very well and some discussion on why you may feel like you’re doing well, but if you take a closer look, you’re not. A bit on your emotions fooling you. 20:30 – Some of the things that led to Sebastian and Kaizo starting Ultra Working. Also, a bit on what Ultra Working does and what their goals are. 22:50 – How the program developed, some results that the company has had with people, and some more on what they do at Ultra Working. 25:26 – The work cycle system, how you can benefit from it, and a bit on both how and why it works. 29:35 – Nat’s personal system for getting things done and the ranking aspect of it. Also, a bit on how Sebastian ranks his system and some discussion on the importance of pre-estimating how long things are going to take. 38:22 – How Nat got into productivity hacking and how accelerating productivity has helped him in various ways. 42:01 – Nat on minimizing boredom and some tactics everyone can use for minimizing boredom. 52:12 – How finding mastery in one thing, transfers well to mastering other things and a bit on the benefits of hitting rock bottom as a way to become better (post-traumatic growth). 56:34 – Tracking the things that you do wrong, asking yourself what you could have done differently, being open to failure, and learning from these failures. 59:18 – Another method that you can try for improving your decision making, especially with difficult decisions. 1:03:25 – Sebastian’s current long-term goals and projects. Also, some of Ultra Working’s recent projects. 1:07:22 – Some discussion on how useful being proficient with math can be and working more with numbers. Also, some closing thoughts and where you can reach out to Sebastian at.